You don’t often see the menu trying to get into the restaurant … we didn’t try it but it is in a great location on way up to the Castell d’Alaro. 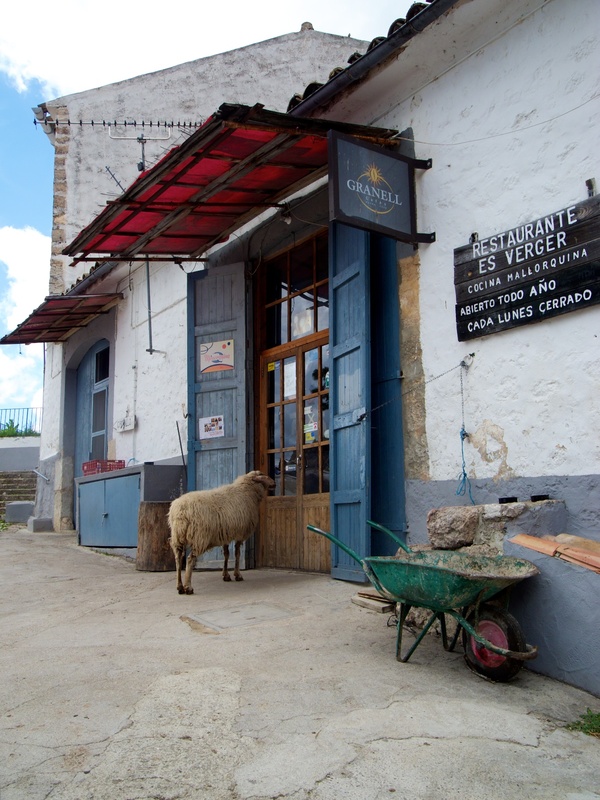 Posted in Spain and tagged Castell d'Alaro, country restaurant, Mallorca, Marjorca, sheep, Spain. Bookmark the permalink.